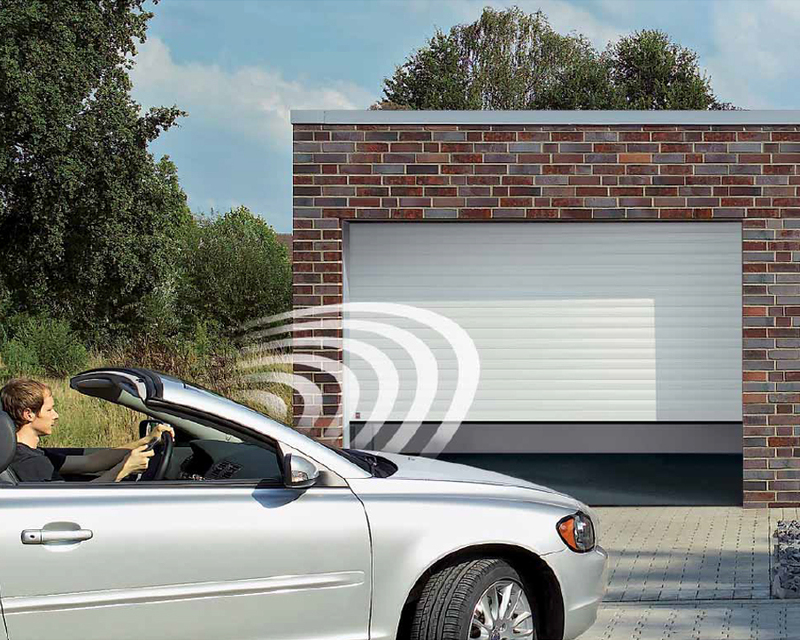 Your radio controlled automatic garage door can be opened or closed by pressing either the button fitted on the garage wall, or your radio transmitter which is hand-held. The transmitter will work at a range of approximately 100ft (even from inside your house out of sight of the garage door), and has the latest rolling code security. Extra transmitters can be purchased, and extra wall buttons can be fitted in the garage or the other side of the wall. Pressing the button or transmitter when the door is closed will cause it to open fully in approximately 12 seconds and stop. A further press will make it close and positively lock. If the door should meet an obstruction during closing - e.g. a car bonnet - or if the button is pressed again, the door will automatically reverse and go back to the open position. If obstructed while opening, the door will automatically stop. In the event of a power failure the door can be opened manually after pulling a release cable at the back of the door. If there is no entrance to the garage, you will need a manual key release (optional extra) which is set into the face of the door and allows external release of the door with a key. Garage Door Automation (Potters Bar) Ltd.